The Leigh Catchment Group is happy to share the following information. Please click on a file name below, to download a document to your own computer. When members from the Landcare community noticed that some common species in the landscape were declining, they decided action was required to prevent these iconic species disappearing forever. 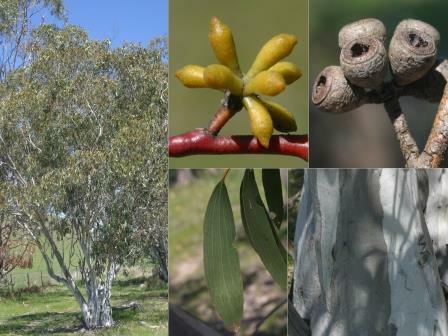 The four species identified were Banksia marginata (Silver Banksia), Allocasuarina littoralis (Black She-oak), Eucalyptus Yarraensis (Yarra Gum) and Eucalyptus pauciflora (Snow Gum). With funding through the state governments communities for nature program, over the course of the 4 year project, now coming to an end, approximately 12,000 indigenous species including 3,500 focal species were planted at Macs Road, Buninyong and private land. 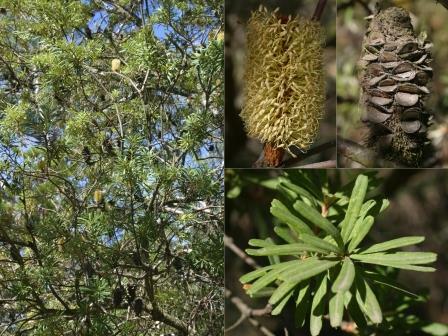 Silver Banksia occurs in a large number of EVCs from heathlands, heathy woodlands, coastal vegetation, grassy woodlands, herb-rich woodlands and some forests. Within the Leigh Catchment it is found primarily in Damp Sands Herb-rich Woodland and Valley Grassy Forest. 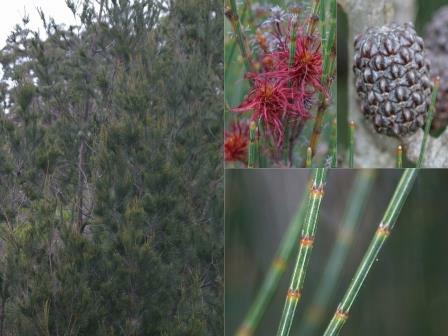 At a number of points, it is found on the edge of the basalt (the latest geological information is provided on the maps) and Banksias occupy the ecotone between Valley Grassy Forest and Plains Grassy Woodland, sometimes with Snow Gum. In the catchment it is present in the tree form, not the shrub (stunted) form found in the heathy (sandy) communities elsewhere. Black Sheoaks are found within the catchment in Valley Grassy Forest, Damp Sands Herb-rich Woodland and Lowland Forest. It is occasionally present in Grassy Woodland although Drooping Sheoak is more typical. Where it is present it can be locally common (e.g. Pryors Road). Snow Gums are often found near the edge of the basalt flow where Valley Grassy Forest meets Plains Grassy Woodland. They seem to generally occupy the ecotone between EVCs and were never locally common. They have also been observed between Damp Sands Herb-rich Woodland and Grassy Woodland. 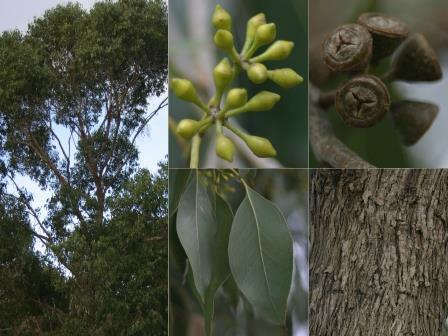 The Yarra Gum has smaller fruits, rough bark and smaller, rounder leaves. It is found in seasonally waterlogged sites usually within Valley Grassy Forest (including Creekline Herb-rich Woodland) which are often brackish. In the Snake Valley/Carngham area (Mt Emu Catchment) it appears to be the main tree of Grassy Woodland extending onto the basalt (Plains Grassy Woodland) which has not been observed as extensively elsewhere. Also found in Sedgy Riparian Woodland sometimes with Brookers Gum. 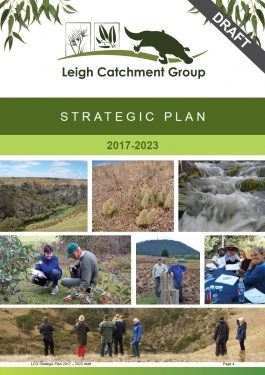 Our Group formed in 1997 following recognition by the Landcare Groups of the Catchment that a combined and coordinated approach to management of the catchment would result in improved works and lead to an increase in funding for larger scale Natural Resource Management projects. The Leigh Catchment covers an area of 890 square kilometres including the Yarrowee River which becomes the Leigh River at its confluence with Williamson’s Creek. The Leigh River flows into the Barwon River at Inverleigh. The Leigh Catchment contains a diverse range of topographic features from gently undulating hills, wide valleys and river flats, to steep escarpments and rocky gorges. 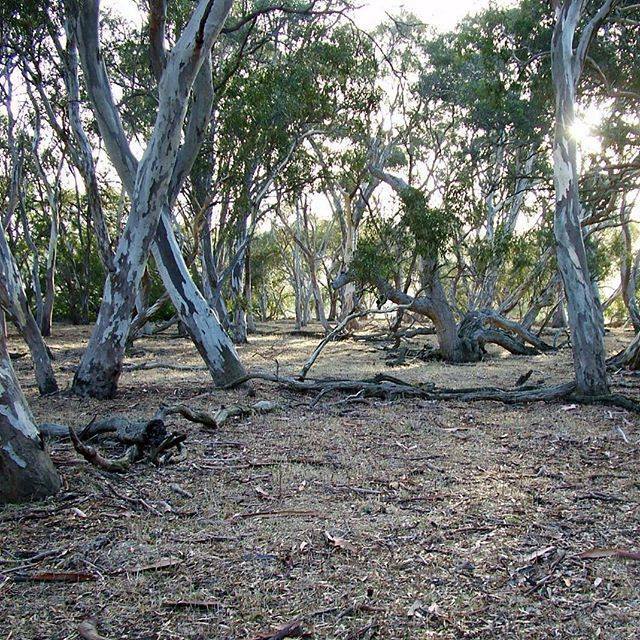 The catchment supports areas of significant remnant native vegetation including forests, woodlands, grasslands and wetlands occurring on private and public land. The Leigh River supports intact corridors of riparian vegetation with important fauna habitat values. Agriculture is the predominant land use in the catchment. The urban and semi urban areas of Ballarat are also a significant component of the catchment. Liaise with Landcare Groups, landholders and government agencies to plan and develop projects for maximum benefit for the environment. Coordinate project management, including site visits, inspections, organising contractors, managing funding, monitoring success and project evaluation. Organise and run community days such as field days, plantings days, information sessions and school events. Liaise with corporate partners for feedback and reporting. Provide support and advise to local Landcare Groups and Landholders.